Civil Design Concepts is proud of our involvement in the redevelopment and revitalization of the Foundation Studios located in the River Arts District. This 13-acre parcel of land was once home to Tobacco warehouses and the Hans Reece Tannery. Located between Southern Railroad Property and the French Broad River this parcel required significant coordination with City officials to allow adaptive reuse of these unique buildings. The Foundation Studios are now home to the RAD Skate Park, 12 Bones BBQ and Wedge Brewing Co. and many others underway. 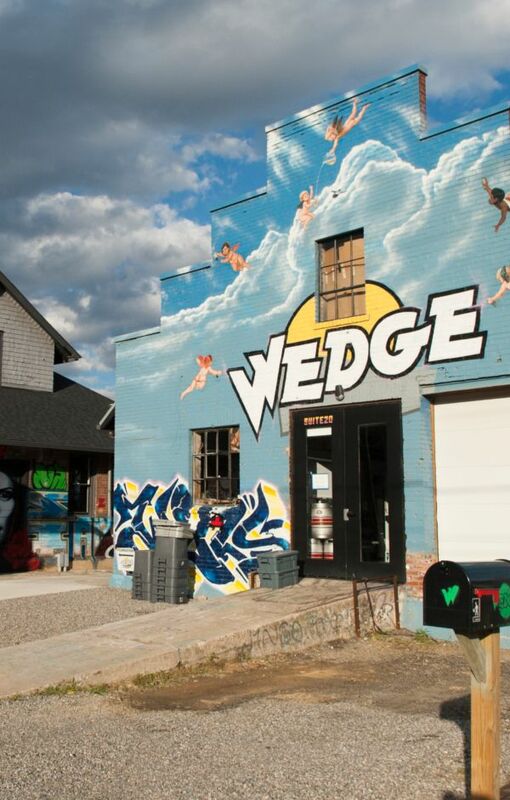 From the graffiti covered artwork which covers these businesses to the smoke emanating from 12 Bones chimneys, this project has had an immediate impact on the southern entry to the River Arts District.